Bornaviruses cause a lethal form of encephalitis, called Borna disease, among horses and sheep. To date there have been only a few reported cases in Austria. Recently, however, four horses were afflicted in the same area of Upper Austria within just two years. Tests conducted on local shrews, the only known reservoir host for the virus, confirmed the suspicion of a local viral reservoir. A large proportion of the small mammals investigated by the researchers from Vetmeduni Vienna tested positive for Bornaviruses, which were revealed to be genetically distinct from strains found in neighbouring regions such as Bavaria. The study, conducted in cooperation with the Austrian Agency for Health and Food Safety (AGES) and local veterinarians, and published in the journal Emerging Microbes & Infections, documents this rare outbreak of Borna disease in a new endemic area in Austria. Clinical signs of Borna disease among horses and sheep include behavioural disturbances and disorientation. The causative agent of Borna disease, the Bornavirus, is harmless for people but triggers a lethal infection of the brain and the spinal cord among affected animals. The virus is transmitted exclusively via a reservoir host, the protected bicoloured white-toothed shrew. Infected shrews are lifelong, yet asymptomatic, carriers of the Bornavirus. Despite a declining number of cases, occasional sporadic outbreaks of the disease have been documented in Central Europe with the exception of Austria. Now researchers from Vetmeduni Vienna and the Austrian Agency for Health and Food Safety (AGES) have confirmed for the first time an outbreak of Borna disease in a previously unaffected area. Within a period of just two years, four horses in Upper Austria contracted the disease in locations no more than 17 km apart. Local bicoloured white-toothed shrews, as well as one common shrew, tested positive for the virus. The Bornaviruses that were found, however, were genetically only distantly related with the viruses found in neighbouring regions like Bavaria. The first indication of a possible outbreak of Borna disease came from two vigilant local veterinarians. They diagnosed a neurological condition among four horses in Upper Austria and suspected that Bornaviruses could be responsible. 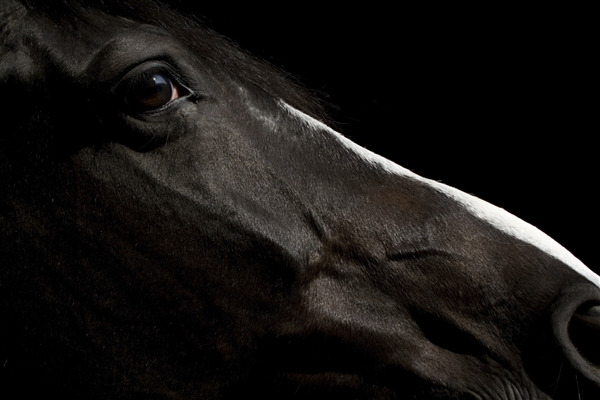 An examination of the afflicted horses confirmed the diagnosis and the suspicion. “At the same time, we also tested the possible local carrier, shrews, to help assign a local aspect to the multiple cases of disease,” says Herbert Weissenböck of the Institute of Pathology and Forensic Veterinary Medicine. More than fifty percent of the trapped bicoloured white-toothed shrews were positively identified as carriers of the virus. But there also was the unexpected positive test for another species of shrew living in Upper Austria. Viral strain from Rhineland-Palatinate among common shrews? The shrews captured in the affected region also included common shrews. This species had so far not been considered a possible carrier of the Bornavirus. “For the first time, we have now identified an infected common shrew. Further studies are needed to show whether this species also serves as a reservoir host or if this is an isolated case,” says Norbert Nowotny of the Institute of Virology. An earlier study by the team had confirmed that the bicoloured white-toothed shrew represents a reservoir for Bornaviruses. The viruses are present in high amounts in all organs of the shrews while the animals themselves remain asymptomatic. “After an infection, the shrews remain lifelong hosts and even excrete the virus,” says Nowotny. With protected animals, however, the question is how to best combat Bornavirus infections. The shrews must be kept out of the stables, for example through self-closing doors or barriers. Hygiene standards and regular controls also play an important role. “This case has shown that many scientific studies begin with the watchful diagnosis by practicing veterinarians. This awareness must be further strengthened. The good cooperation with AGES has shown that we can make rapid progress when we work together. The proof that the Bornaviruses were present in both horses and shrews confirmed not only the veterinarians’ diagnosis but will also help us to develop strategies for the future,” says Weissenböck.